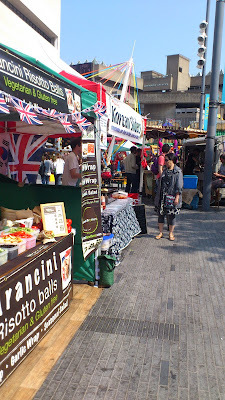 Sunshine and street food on the South Bank. You can’t get much better than that to sustain the happy mood that the Royal Wedding put you in the day before. 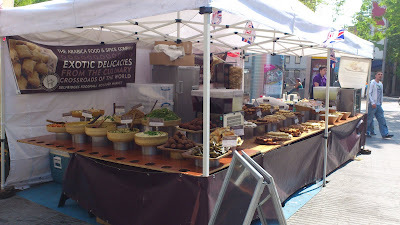 All the food vendors and visitors are smiley and friendly, the sun’s out, there’s plenty to eat and drink. Conversations that start ‘Did you watch it? What did you think of the dress?’ abound. I meet up with my Mum to have that inevitable conversation, and check out the food on offer. 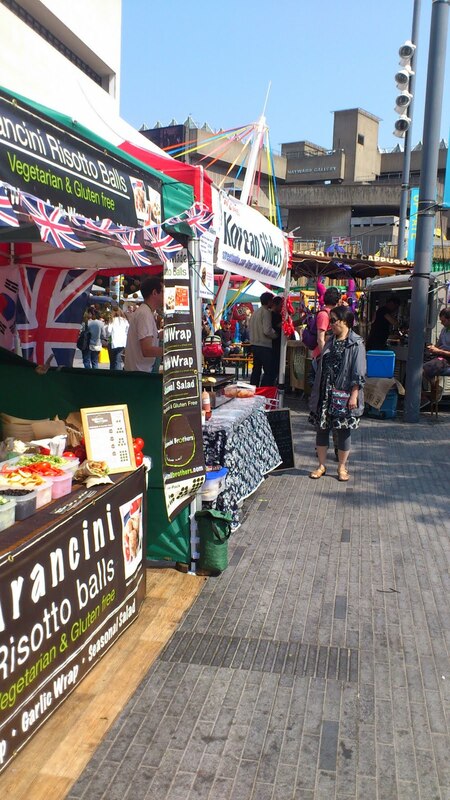 We wander around the stalls, lots of different countries and continents are featured here, as are different types of cooking and various drinks. Lebanese food, pulled pork, one-pot cooking from around the world, a creperie, tacos, a range of ciders and a VW van selling cakes, to name but a few. 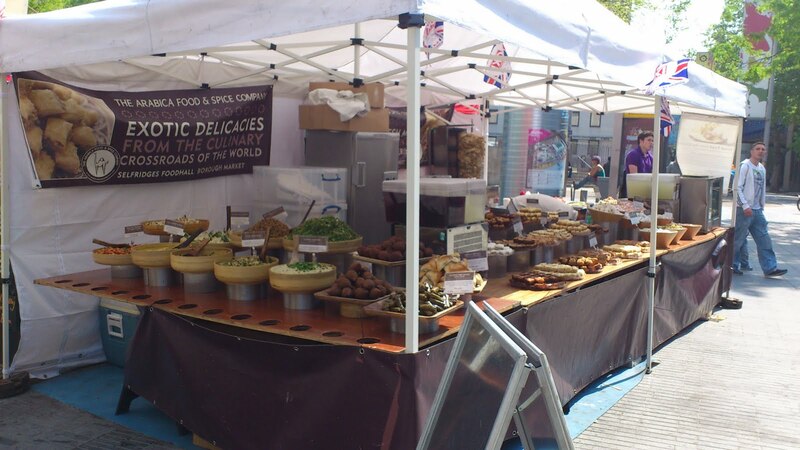 There are plenty of organic, vegetarian, vegan, gluten-free, wheat-free and dairy free options for people that are that way inclined too. 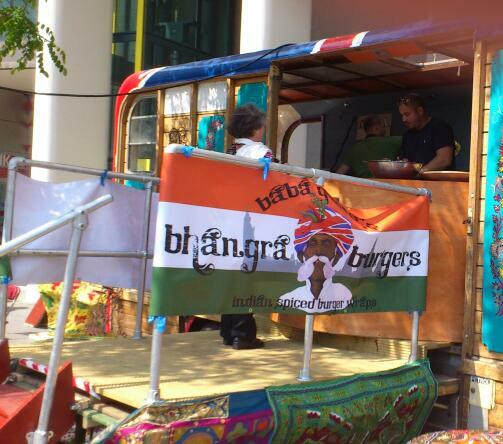 We spy several Indian outlets, such as Bhangra Burgers. 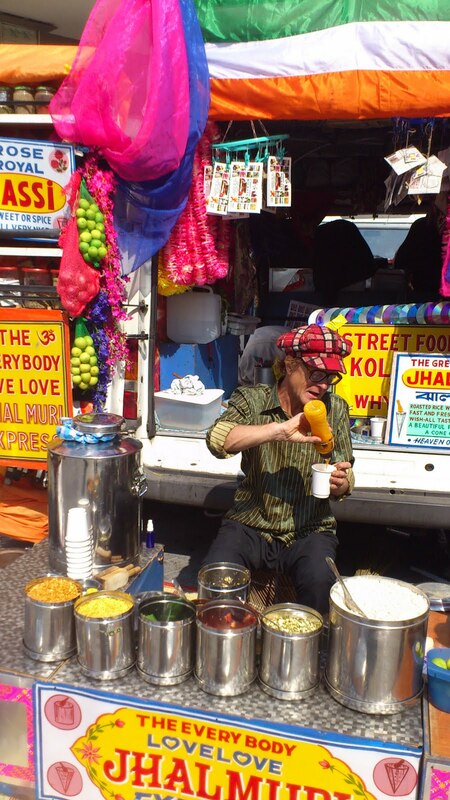 My Mum lived in Calcutta a few years ago so makes a beeline for a stall claiming to sell Calcutta streetfood. ‘Have you been to Calcutta?’ she grills the man serving up lassis. ‘Where did you stay? What did you eat? What did you think of the main market?’ He passes the Linda Emery Calcutta test (with flying colours: he’s even made a documentary there about the street food) and she orders some lassis for us. We pass a giant Connect Four and head to some seats to talk more about what on earth Princess Beatrice had on her head at the Royal Wedding and to soak up the sun. My mum feels the need to grill the Bhangra Burgers boys too so chats to them about India and orders a lamb jalfrezzi burger. 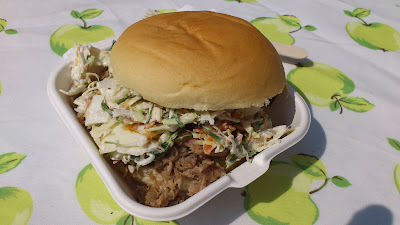 I feel the pull of the pulled pork and buy a pulled pork sandwich. 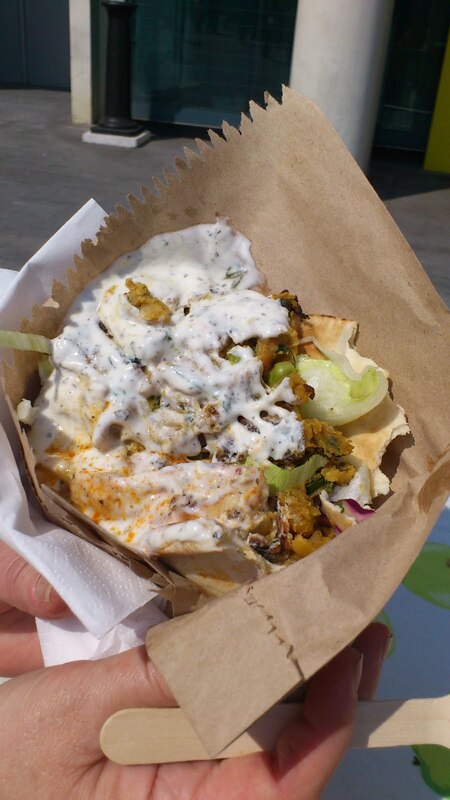 Both cost around a fiver and are messy but really delicious. After a stroll round the South Bank and a drink on the Royal Festival terrace we come back to the festival later in the afternoon for a hot sweet churros from Churros Garcia’s and a slice of chocolate Guinness cake from the girls at the VW van. We then sit back and talk baking, Calcutta stories and what we’ll do for the rest of the Bank Holiday weekend. A great little festival, and what a beautiful day. Heading to the South Bank any time soon? Check out the bars, pubs and restaurants in the area before you go.